The Extra Small Softbox is compatible with the Fiilex P360, P360EX, and P200. 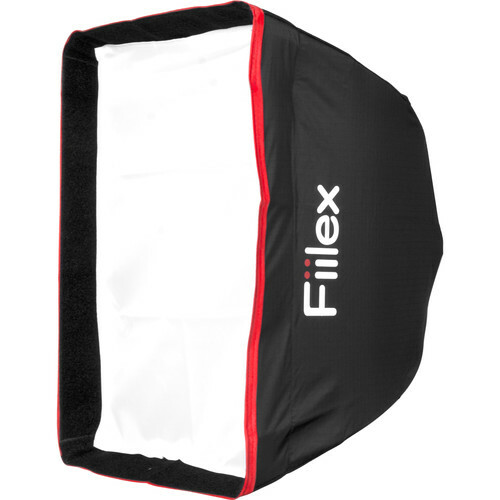 In addition to Fiilex products, this softbox works with any low-heat fixture that uses a standard-sized speed ring. The softbox mounts via flex rods to the P-Series Speed Ring (not included) to create a soft compact source of illumination. It's also collapsible for easy transport in its travel bag. The amount of diffusion can be modified with the inner and outer baffles, and the optional Grid further enhances the light-shaping abilities of the softbox.